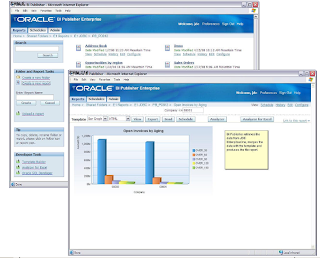 Let's see how Oracle is improving the product to provide real business value to users of JD Edwards EnterpriseOne application releases 8.10 through 8.12. So, what Oracle is doing to enhance EnterpriseOne? 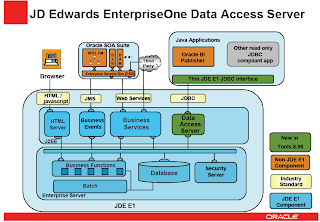 A new Java Database Connectivity (jdbc) driver securely opens up the JD Edwards EnterpriseOne database for streamlining of reporting and other data access needs. in depth batch processing analysis and profiling. We'll discuss more about this new feature in the next post. improves support for screen readers, and adds recovery tools for failed transactions. which simplifies how JDE EnterpriseOne content is managed within supported portals. take advantage of virtualization technology.